American Plating and Manufacturing Company (APM), based in Chicago, Illinois has celebrated over 110 years as a musical product manufacturer. We are a third generation, family-owned business that focuses on craftsmanship and quality. APM is one of the largest domestic manufacturers of band instrument parts and accessories. 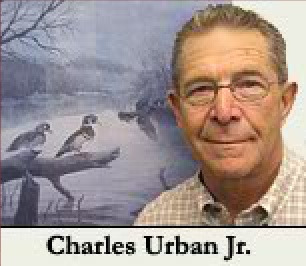 Founded in 1902, the first generation owner, Charles Urban Sr., had begun his career in the music industry at the age of 14 when he got a job at a music store in Europe to supplement his family's income. APM originated as a specialist in plating and lacquering fenders for horse-drawn buggies and early model cars. With Charles Sr.'s interest in music, the business advanced its core skills of polishing, plating and lacquering in the 1920's into repairing brass brand instruments. During WWII, APM was one of a few authorized businesses to repair musical instruments used in all branches of the Armed Services. APM later began manufacturing band instrument parts as an add on to instrument repairs. The company eventually ceased instrument repairs in order to focus on band instrument accessory manufacturing. In 1963, Charles Urban Sr. retired and Charles Urban Jr. took the helm of APM. Charles Jr., himself a clarinet and saxophone player, spent his career working with his father at APM. Charles Jr. is credited with working with the various OEM instrument manufacturers to develop a "standard" line of music lyres. Charles Jr. also provided the vision and commitment for a complete modernization of APM's manufacturing facilities, which now reside only a short distance from the company's original location. The company's current president, Karl Urban, is the grandson of Charles Urban Sr., and is the third generation owner of the Chicago based firm. Karl, who holds a master's degree in engineering management, cut his teeth in manufacturing while working for GE and then as a supply chain business consultant. Karl also plays the clarinet and is an avid collector of vintage gramophones. Karl had long been involved with APM and acquired the company in 2000. APM uses a combination of manual and automated processes to manufacture a full line of musical instrument parts and accessories. In recent years, APM has adapted its plating technology to incorporate specialty plating capabilities for the electrical power transmission industry. APM's customer base can be found across the America's, Europe and Asia. The company also manufacturers a number of private label products for some of the top names in the industry. From horse-drawn carriage fenders to the global supply of high quality accessories for Woodwind and Brass instruments, APM has demonstrated the flexibility to meet its customers' evolving needs. Contact Us-- For your manufacturing and electroplating requirements.